It is important to list out whether you want to move the fragile items in first place. Prepare a list of all the belongings at your home and also prepare a fresh list of all the fragile items at your place. Sort out the list carefully and decide which breakable items you want to take along with you. if you have certain fragile items that you do not use then it is advisable to sell, donate or give to someone. One of the most important requirements for packing fragile item safety is making use of proper packing materials. You should never skip this important step. Using the adequate packing material will ensure secure and hassle free moving experience. Good quality cardboard boxes: You can get reused cardboard boxes also but make sure then are in excellent condition. Packing Paper/ Old Clothes: You might require a lot of packing paper and clothes to wrap the fragile belongings. 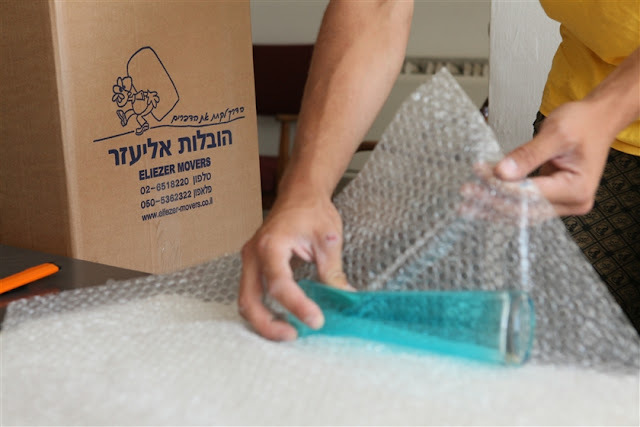 Bubble Wrap: The plastic material filled with the bubble is very important to keep the fragile items safe and prevent from rolling or moving. Tape: Get the best quality tapes to pack the boxes. You can always take help from the internet regarding the packing tips and to learn about packing the fragile items safely. Get the suitable size of packing boxes to start with the packing, use soft papers and bubble to wrap the top and bottom part of the box. Avoid using newspapers to pack fragile items, there are more chances of ink stains. It is must label the boxes carrying with fragile items, this will help you to identify the boxes which have high chances of breakage. In addition to it write "Fragile" , "Handle With Care" with red letters on each side of the box. Once you have packed all the fragile items carefully, it is also important to hand over the difficult job to a trustworthy or professional person. You must be very careful while carrying those fragile boxes during the loading and unloading time. Watch each step carefully and take your time to move the items. Never rush while driving if you are moving locally.